Jeremy McConnell is an Irish reality television star and model who was runner-up in the Mr. Ireland contest of 2012 which Leo Delaney won. McConnell was one of the house members in the 2016 Celebrity Big Brother show alongside other celebrities like Stephanie Davis, Scott Timlin, etc. Prior to appearing on the Celebrity Big Brother House show, Jeremy McConnell appeared on MTV’s Beauty School Cop Outs show. Here is more about him and his show business career. Jeremy McConnell was born Adrian Jeremy McConnell-Cooke on February 22, 1990, in Dublin, Ireland. He was raised by his mother as his parents were divorced before he turned 2 years of age. McConnell started out his career as a model. He was one of the contenders for Mr. Ireland in 2012 and finished the contest as the runner-up (Leo Delaney was the winner of the contest). In 2016, McConnell started appearing on Beauty School Cop Outs, an MTV show in 2016. The show was aimed at teaching young Irish and British people about the beauty trade. He was selected to the 17th edition of the Celebrity Big Brother House TV show in 2016 alongside other celebrities such as Scott Timlin and Stephanie Davis. He severally recalled how he and his late mother used to enjoy watching the show when was younger. The model has also said that his stay at the Celebrity Big Brother House was one of the most memorable periods of his life as it provided him with the opportunity to meet interesting people, make new friends and learn a lot of new things. He was evicted from the Celebrity Big Brother House after spending 25 days as a house member. He became the 6th member to be evicted from the house as he did not earn sufficient votes to remain on the show. Jeremy lived with his mother until the age of 15 when she passed away after she suffered from a brain hemorrhage. He also lost a brother and sister after his mother’s passing. He lost his brother to a motorcycle accident and his sister died due to heart failure – she had struggled with epilepsy for a while. 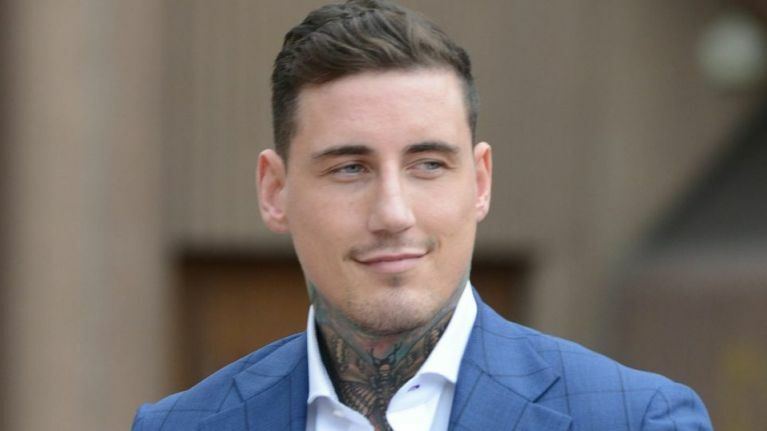 Jeremy McConnell met ex-girlfriend and English actress Stephanie Davis during the Celebrity Big Brother House show in 2016 as she was also one of the house members. After hitting it off on the Celebrity Big Brother show, he and Stephanie began dating. At some point, they started living together though they were never married. Their relationship turned out to be a tumultuous one as there was a lot of fighting often induced by accusations of cheating. The fighting led to several break-ups and make-ups between 2016 and 2017. Stephanie gave birth to a son for McConnell named Caben-Albi George Davis in January 2017. He initially denied he was the father and publicly declared that a paternity test should be conducted to prove her claim. He ultimately admitted he was the father after the test was conducted. Jeremy McConnell was convicted for assaulting Davis in August 2017 and he was sentenced to 20 weeks in prison. The sentence was suspended for 12 months and he was ordered to complete 200 hours of community service. He triggered his suspended sentence in November 2017, by not performing his community service duties. McConnell had not shown up to attend to his community service duties because he had taken a trip to Turkey for a beard and hair transplant. Due to this, he was imprisoned for 18 weeks. The initial 20 weeks sentence was reduced to 18 weeks to compensate for the community service work he had already done to that point. Jeremy McConnell appeared on the Jeremy Kyle Show in March 2018 to talk about his life and his relationship with Davis as well as their son Caben-Albi. He said he was sad for not having seen his son for 8 months and mentioned that his late parents would be disgusted at his behavior towards Davis. McConnell is blessed with an impressive athletic physique. He stands at a height of 5 feet 10 inches (1.8 m). His other distinctive body features include his dark brown hair and his blue eyes.